We want to know about your experience of using our website. Take part in our website survey (opens new window). Mobile handsets are sometimes 'locked' to the network from which the handset is purchased. This means the handset will usually only work when used with that particular provider. If you want to switch to a different provider but keep your existing handset, you may need to get it unlocked. You may also need to get your handset unlocked if you want to use a local SIM card in your handset when travelling abroad to avoid roaming charges. Will my handset be locked when I buy it? Handset locking policies can differ from provider to provider or can depend on the type of device and package being sold to you. For example, all of EE’s (and previously Orange and T-Mobile) and Vodafone’s handsets are sold locked to their networks. O2 also locks all of its pay-as-you-go handsets and some of its pay monthly handsets. Three’s handsets are all sold unlocked. How do I find out if my existing handset is locked? You can find out whether your handset is locked by asking your mobile phone provider, or by trying a different network SIM card in it. If you get a message that indicates there is a problem and you cannot make calls, it's possible that your phone may be locked. How do I get my handset unlocked? If your handset is locked you can ask your provider to unlock it for you. Phones reported as lost or stolen will not be unlocked. 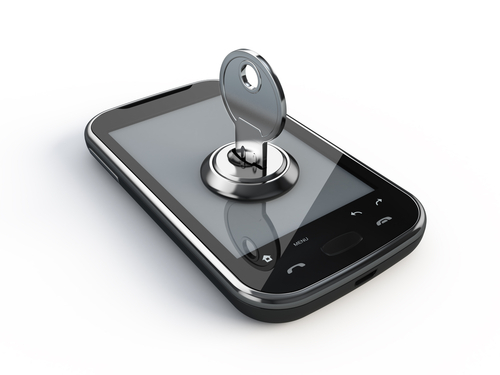 Mobile providers have different policies and processes for unlocking phones. For example, some will only unlock your mobile phone after a certain period of time has passed and will charge a fee, while some will unlock your phone at any time for free. If you are on a pay monthly contract and are outside your minimum contract period, most providers will unlock your phone for free. Some handsets can be unlocked relatively quickly, for example most providers unlock iPhones within three days. For other handsets, unlocking may take longer, particularly if your provider has to contact the handset manufacturer to get the unlocking code. This is often the case for older handsets. Details of your provider’s handset unlocking procedure will usually be available on their website. What if I am no longer with my provider? You may wish to unlock your handset after you have left your provider. Most providers offer this service. as long as the request to unlock is made by the former account holder of the handset. Check your provider's website or speak to their customer service team to find out the process you need to follow. This guide explains what you need to do if you want to switch your mobile phone service to a new provider. Help and advice on how to get the most from your phones and broadband.